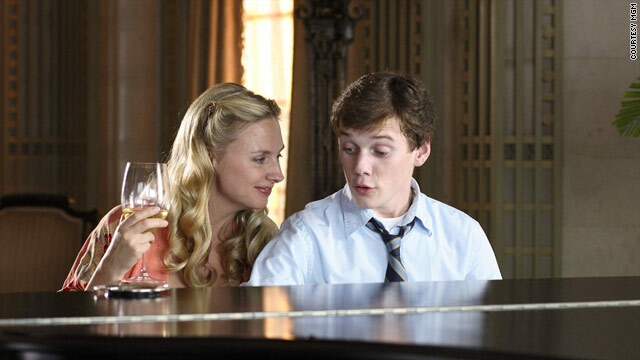 The 2007 film "Charlie Bartlett" centered on a disaffected teen from a wealthy family. (CNN) -- The rebellious teen anti-hero is so common in today's cinema it's easy to forget that such a kid was not as prominent in American culture before Holden Caulfield. The protagonist of the J.D. Salinger novel "Catcher in the Rye" shook the literary world when he debuted in 1951, full of angst and railing against the adult world. He also ushered in a disillusioned demographic of movie characters who wear their nonconformity as comfortably as a T-shirt. "What J.D. Salinger achieved with Holden Caulfield is he really invented a voice that became the voice for a lot of disaffected youth," said Gregg Kilday, film editor for The Hollywood Reporter. "Slangy, suspicious of adults, looking to call out 'phonies' wherever he saw them." From James Dean's Jim Stark in "Rebel Without a Cause" to Matthew Broderick's character in "Ferris Bueller's Day Off" and beyond, Holden's legacy resonates in Hollywood. There was even a 2001 film titled "Chasing Holden" about a troubled young man who embarks on a journey to find Salinger. Syracuse pop culture professor Robert Thompson points out that rebellious youth existed in literature before "Catcher" in the works of James Joyce, Ernest Hemingway and others. The emergence from the post-war era marked a shift in attitudes, said Thompson, and there was an emerging baby-boom generation ripe for disaffection and protests. "I think probably Salinger actually caught something that was afoot in the culture anyway with Holden Caulfield," Thompson said. "He created a character that I think was kind of predictive in ways that all kinds of people were going to feel about in the subsequent generation and generations after that. "I think he gets credit for beautifully nailing a certain piece of emotional and literary real estate and doing it really early." The Hollywood Reporter's Kilday said Salinger's creation was pivotal. "When Holden Caulfield first came along, adolescence hadn't been defined as a separate category in American culture," he said. "'Catcher' came along at a time when the whole youth culture was just being defined." Such influence is ironic given Salinger's apparent disdain for the film industry. Hollywood had a long history of wanting to acquire "Catcher" to develop it into a film. Among those interested: Jerry Lewis, who even while in his 30s insisted that he was born to play Holden. But Salinger, who saw his short story "Uncle Wiggily in Connecticut" get twisted into the 1949 romance "My Foolish Heart," never let Hollywood get hold of one of his works again. Dana Polan, a professor of cinema studies at New York University, notes that the character of Holden both looks up to his older brother D.B., a screenwriter in Hollywood, while also viewing him as a sell-out. In the novel, Holden says, "If there's one thing I hate, it's the movies." Polan said there are many layers of "Catcher" that are reflected in Hollywood, including the rebellious protagonist in rock 'n' roll films such as "Jailhouse Rock" to the turmoil of private school students like those in "Dead Poets Society." The 2007 film "Charlie Bartlett" flipped the script by having its main character, who gets kicked out of every private school he attends, become a self-appointed "psychiatrist" for the troubled kids in his new public school. Such themes are enduring because of their universality, Polan said. "Every generation has to go to school, and every generation is caught in this kind of tension between the pressure to conform and perform and the desire for one's own voice and one's own independence," he said. "Many American films are made for a young audience and what sells is rebelliousness and angst."